Kuna Estates is very proud to be the first Luxury Home Real Estate business in Denver to make use of cutting-edge VR technology in the marketing of our luxury listings. Real Estate is one of the industries that Virtual Reality is taking off, buyers can view a house and feel like they are actually in the house. 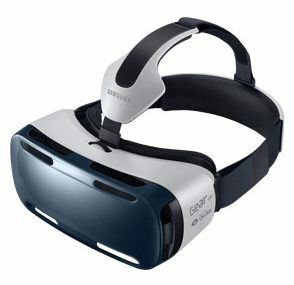 We can now show our buyers 10 luxury homes in 20 minutes using Virtual Reality and Samsung 3D headsets. Once thought to be the work of mere science fiction, the momentum for VR is quickly growing – and it’s here to stay. Beyond question, this technology will make a huge impact on the way properties are presented in the luxury real estate marketplace for many years to come. Wearers of VR goggles are able to view 360-degrees around their surroundings in correlation to the tilt of their head, simulating the feeling of physically being in a space without actually being present. Combined together with lifelike 3D-imagery and moving platforms which respond to your every step as showcased at CES in Las Vegas, one can truly feel as if they have been transported into an entirely other world than their own while using VR. VR will never be a replacement for the invaluable knowledge and expertise provided by a licensed real estate professional, virtual reality empowers luxury real estate companies such as Kuna Estates to bring the increasingly commonplace 3D still image and video tours of the past into the next generation. 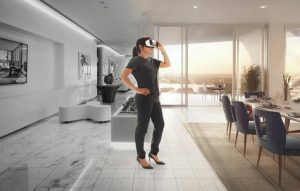 Extending the ability to virtually experience the atmosphere of an upscale property from afar, clients who are given the opportunity to tour a home in virtual-reality are consistently astonished. The realism, clarity and riveting effect of enjoying the lifestyle at an upper-floor penthouse at The Four Seasons, a stunning luxury home in Castle Pines or Cherry Creek, is unmatched by any other platform today. While VR technology continues to receive greater adoption, clients are also able to experience detailed 3D and 360-degree video tours of a property for themselves through their iPhone, iPad, or other gyroscope-enabled personal electronic device in comfort. With other major manufacturers including Microsoft, Google, Sony and Samsung stepping into the arena and even giving away free VR headsets to their customers, the increasing interest in virtual reality doesn’t seem to be stopping anytime soon. Wherever VR technology leads us, it is already playing a role in altering the way we interact, perceive and experience the world around us. The future is the present, and now is the time to react to changes affecting the luxury real estate industry, and we’re proud to say that we will always be on the cutting edge of technology in an effort to better market our client’s Luxury Homes, through increased visibility, more buyers and higher offers.